In order for counselors, teachers, administrators, and other professionals to write a quality letter of recommendation for you, a resume that you can give to them will be helpful. Use the documents below to help you in writing your letter. Most college applications and scholarship applications will want you to have at least two or three recommendation letters from people who know you in and out of the classroom. Brainstorm a list of people who would be good choices to ask for letters of recommendation. When asking adults to write a letter of recommendation for you, you may want to fill out this Letter of Recommendation Request Form and give it to the professional along with your resume. You need to give this to the adult at least 2 weeks in advance. Don't Forget! Give your letter writers 2 weeks advanced notice! It's okay to change your plans or explore your options. College Board's Big Future has many great tools to help plan for college, get financial aid information, conduct college searches, and find current career information. ACT works with colleges across the nation to compile information that offers helpful advice and resources related to college planning, career information, financial aid, and more. Learn what it means to explore your college options. This is a great place to begin exploring careers, planning for college, conducting college searches, and more! How will you know if you get homesick? Not sure how far is too far? Is your top college choice too far away to visit? Do a virtual tour of the college instead and check out hundreds of colleges. With a map you can explore careers, prepare for college (help with selecting a school and applying for admission), pay for college (financial aid), and manage your money(student loans and more). 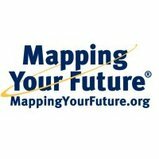 Mapping Your Future is your free resource for career, college, financial aid, and money management information. Helpful articles and posts on a wide range of college and career planning topics in addition to a plethora of financial aid information for you and your family.